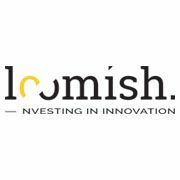 Loomish SA, a Swiss investment advisory firm specialized in Lifestyle Tech, has revealed the 12 finalists of the 2019 Fashion Innovation Award. Selected from 100 international mature AI FashionTech start-ups, applying Artificial Intelligence to enhance different parts of the Fashion value chain. The Swiss startup Masha.ai, based in Zug qualified for the finals. Masha.ai uses Artificial Intelligence and Chatbot technology to connect the brands with the customers at the right time, for the right occasion. The startup aims to create a personal shopping assistant, achieved by integrating their technology with all the big players, such as Facebook Messenger, Skype, Amazon Kindle, iPhone, Android, Windows Cortana, Alexa, Google Assistant, among others. To-date, Masha.ai works with over 400 international brands, including Mont Blanc, L’Oreal, Swarovski, ONLY, Godiva, Converse and many more. Wide Eyes Technologies, Barcelona, Spain, https://wideeyes.ai/. Wide Eyes is a global SaaS leader of visual AI solutions for the Fashion industry. The software transforms an image into a multiple selling opportunity for example by recommending similar or complementary products. iCoolhunt/Nextatlas, Turin (IT), London (UK), https://www.nextatlas.com/ The company developed Nextatlas, a unique data platform leveraging proprietary algorithms and AI methodologies to detect new trends likely to become mainstream. Catchoom, Barcelona, Spain, www.catchoom.com. Catchoom’s solution automatically extracts well-structured, SEO-friendly attributes from fashion product images. These tags help marketplaces and brands enable fine-grained filters and produce highly relevant on-site search results. Yosh.ai, Warsaw, Poland, https://yosh.ai/. Yosh wants to give every user a virtual personal shopping advisor. With the use of Artificial Intelligence, the machine is taught not only about the user’s tastes, but also about the ways of giving personal advice and providing inspiration for the user. Tooso, San Francisco, USA, https://tooso.ai/. Tooso developed an API that provides e-commerce sites with text and vocal search to connect consumers with the right products more efficiently and increase the conversions. Predit, Milan, IT, https://www.predit.it/. Predit develops predictive applications for Fashion & Retail. Predictive analysis can improve merchandise planning based on data gathered from sources such as ERP, technical sheets, pictures, natural language or ecommerce data. SPOTT.ai , Aalst, Belgium, https://spott.ai/. SPOTT.ai transforms any visual content into an interactive, inspirational and shoppable experience no matter the screen & platform. Save Your Wardrobe, London, UK, https://www.saveyourwardrobe.com/. The app curates an ecosystem of services (selling, repairs, rental…) as a way to monetise idle items their users have in their wardrobes. The algorithm pushes for hyper-personalised products and services to Save Your Wardrobe users. Sizolution, Berlin, Germany, http://www.sizolution.com/. Sizolution helps fashion ecommerce stores decrease return rate and increase conversion rate through very accurate personalized size and fit assistance to its customers. Productlead.me, Bucharest, Romania, https://productlead.me/. Product Lead helps brands to understand and harness the power of social media, for example with insights about influencer, Instagram users, content with high conversion rates etc. HUUB, Porto, Portugal, https://www.thehuub.co/. HUUB is an integrated logistics platform for fashion brands. Their value proposition relies on services aggregation with one contact point, simple and predictable pricing model, economies of scale (30% of average reduction in delivery costs) and full traceability in their platform. Masha and the eleven finalists will pitch their solutions to a high-profile jury panel comprised of decision-makers from Fashion brands, AI experts and investors at the Fashion Innovation Award ceremony on April 2nd, 2019, in Lugano. “By running this Award, we strive to provide a platform for investors, start-ups and institutions alike to collaborate and jointly shape the future of the Fashion industry. We are also very proud to be contributing to the innovation ecosystem in the Ticino Fashion Valley by bringing the leading international AI FashionTech start-ups to Lugano and showcasing them to investors and fashion brands,” says Jelena Tasic Pizzolato, Head of Strategic Marketing, Loomish SA. The Fashion Innovation Award is a part of Fashion Innovation Week, organized by Loomish’s partner NetComm Suisse. The event is sponsored by Google, Bally, Accenture Interactive, NextBit, CRIF and AGIRE. It also has the endorsement of the Lugano City government.